Does anyone know the answer to one of life's greatest mysteries? What was the toy that came inside the Phoenix monster candy boxes from the 60s? Does anyone have a good scan of the Phoenix Creature box, front and back? 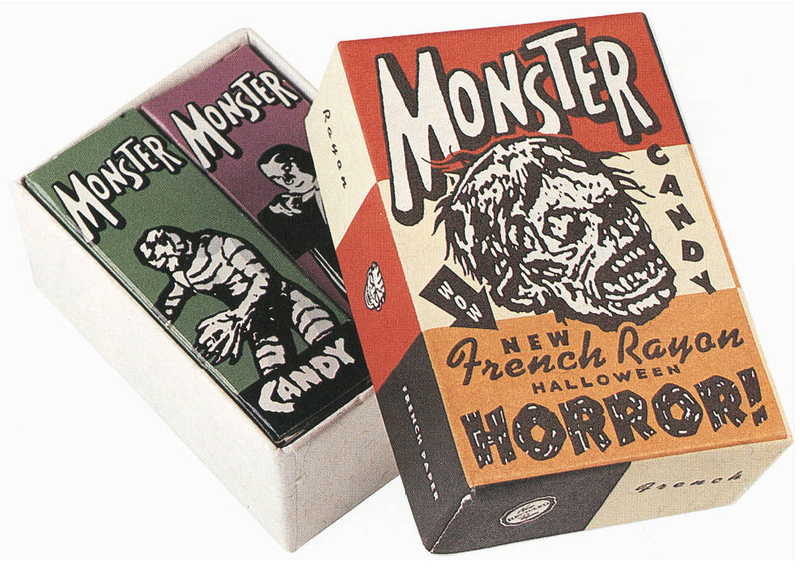 I gotta look for them but, I have some cool monster candy that featured foil wrapped monsters in cardboard coffins. Just had our annual neighborhood block party last week. All the neighbors bring something to the party whether it be a dessert or an extra package of brats to throw on the grill. And what do you know? Somebody, and it wasn't me either, brought a bowl of the Monster Candies! These things will never die! Never! Here is what a recent Creature candy box looks like; including it's contents. The candy is similar to that of the old candy cigarettes. BTW, it's still be manufactured by World Candies Inc. I saw a post earlier today with repo box templates. Does anyone have these boxes. I would love a full set even if repo and the thrill of making my own. Hi ReadingBag. The repro templates that you saw earlier were most likely the Phoenix Candy boxes. There is however a World Candies Bride box template which was never made as a real box. It's only a fantasy box. And it resembles the monster candies pictured in this thread. The other World Candies monsters are very easy to find and therefore are not available as a repro box. P.S. the World Candy Bride box is pictured half way down the page nestled in between the Phoenix boxes. 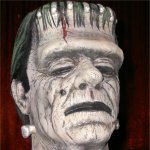 Don't print out any of the "Phoenix" boxes (except Frankenstein and Mr. Hyde) if they don't say "NEW AND IMPROVED" in the message with the link to the large file. 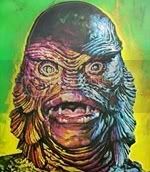 I'll have the Wolf Man done tonight and still have The Mummy and Creature to do. According to lore Palmer "flat" monsters, cavemen, and dinosaurs, etc. in the Phoenix boxes and 'monster bag' 60s candies (I know they were in these), and most likely anything that was suitable and cheap...bugs, etc. If you haven't read the threads on the Phoenix box repros, only the Dracula and Wolfman are exact repros, because we had scans of all 6 sides. The other 3 we only had scans of the front, back and bottoms, so I'm doing a best guess on the other 3 sides, using the WM and Drac boxes as a guide. There are also a couple of fantasy Phoenix boxes (The Bride and The Mutant). Link edit, this works better. What is it? A real packaging style or fan made?